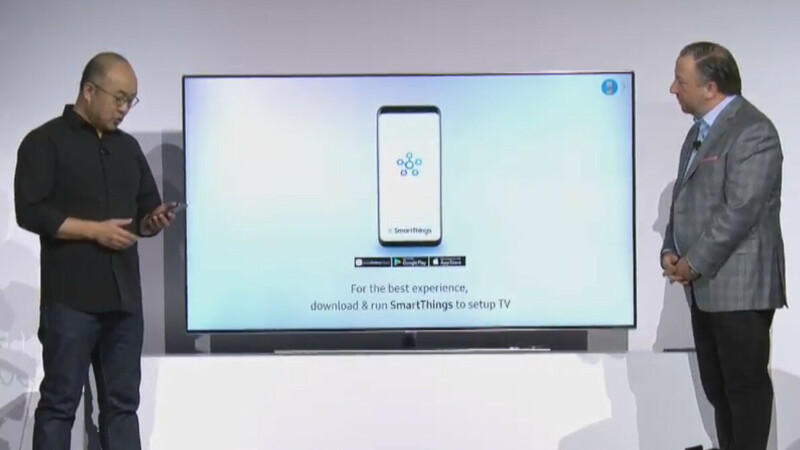 Samsung is making it much easier to set up your smart TV using... your smartphone. The new feature is called "Effortless Login" and works with both Android phones and iPhones. Effortless Login boils down to basically syncing the information that you already have on your phone - things like your Wi-Fi info and that Wi-Fi password that you might have forgotten - to your TV. So after you wait out the automated set-up, your smart TV will already be connected to the Internet and it will be in sync with the apps that you use. And yes, that means that you will have your Spotify conveniently logged in so you can have your favorite playlists within easy reach. Facebook Video, Hulu, Netflix and other apps will also be supported in the near future. Now this is a very useful thing. Cross platform too is also a nice plus. Hoepfully5every app a smart tv and phone share will soon support this. True innovation for the leader of the pack.